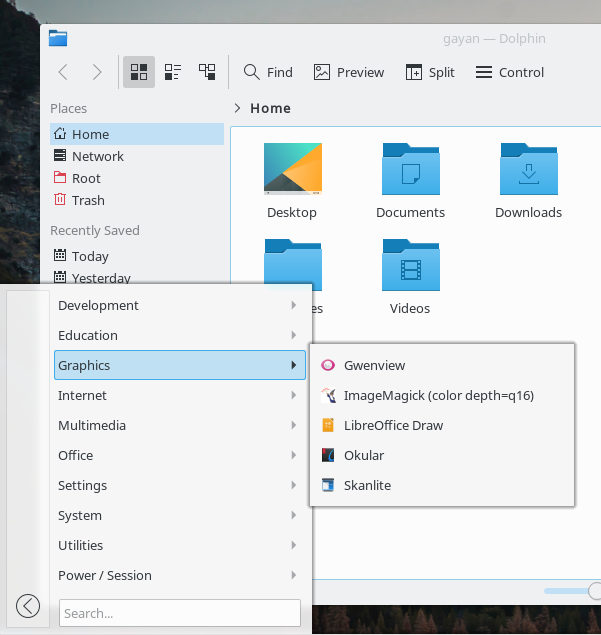 Kubuntu 17.10[fix]: Fonts Looks Too Big After Enabling Nvidia's Proprietary Driver? Interestingly however, while it broke the user auto-login feature in Ubuntu 17.10, it did not change the font sizes. 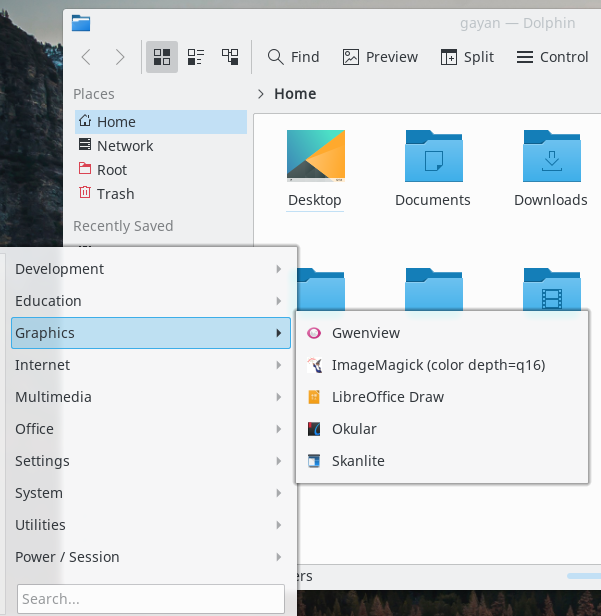 But in Kubuntu 17.10, it made the fonts look bigger without breaking the user auto-login function (as shown in the below screenshot). So anyway, the easiest way to fix this is through the font configuration settings window of KDE. To open it, search for fonts in the start-menu or from the start-menu navigate to ‘Settings‘ --> ‘System Settings‘ --> ‘Fonts‘. 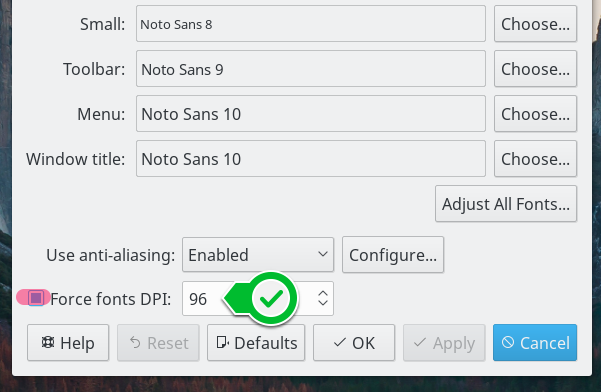 Once you’ve opened it, at the bottom of the configuration window you’ll see a disabled setting called ‘Force fonts DPI’. If you’re satisfied with the results, then you can either reboot (my preferred option) or logout and re-login so that the changes are applied to the entire desktop. That said, 96 may not always work for everyone. Depending on the size of your screen and its native resolution (or the Pixel Density, to be precise) you may have to experiment a little to get the proper value. For instance, in my case the fonts started to look bigger after enabling the proprietary Nvidia driver. That happens when the DPI is too high. Nvidia had set it to 102. So I actually had to reduce it to 96. But if your fonts started to look too small after enabling it, then that’s an indication your DPI is set too low, so to fix it, you have to increase it. In such instances, the general advice is to start off with 96 and then use one quarter of 96 (=24) & use that as the increment, until you reach the optimal setting. So for instance, if 96 doesn’t fix your issue, then try entering 120 (96 + 24) as the DPI value (again, only newly opened application windows will display the changes you’ve just made). If you’re still not happy with the results, try 144 (120 + 24) etc … I guess you get the general idea. That said, you should’t fear to experiment a little. And you don’t always have to follow the textbook recommendations. For instance, that one quarter of 96 increment is generally advised to keep the scaling artifacts at minimum. But, these days, pixel density varies a lot from one manufacture to the other. So you can either increase or decrease the DPI freely, and experiment a little, till you arrive at the desired result. Good luck. Sometimes X.server doesn’t recognize the screen correctly. In my case my 18.4″ display was set to 570 x 320 mm, but has actually only 407 x 229 mm. This resulted in Nvidia setting resolution to 75 dpi. The fonts were looking too small. Then I set the DPI to 105.